SoundCloud’s On SoundCloud program, which includes the ability to add optional advertising to your content as a revenue source, is initially available only to Premier partners. Premier is a new, invite-only membership level that has extra features the rest of the community doesn’t get – though, as with advertising, SoundCloud says most of those features will eventually be available to all paid users. But just who are those Premier partners getting the list? SoundCloud sent over the complete launch list to CDM so we can all have a look. It includes some big names (Sony, BMG), but also artists, comedy content, and podcasts. 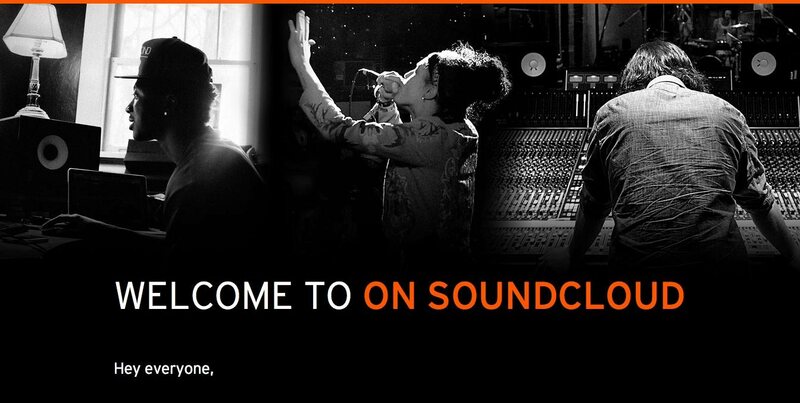 SoundCloud had previously said even things like new profile looks will eventually be available to others. Despite all the speculation about Universal Music Group and whatnot, what you get is sort of a random sprinkling of different kinds of content. As it has since SoundCloud’s founding, electronic dance music is featured heavily – though it’s more mainstream-focused channels, not the likes of M-nus Records or Warp or Ghostly or the like. (In fact, labels don’t really feature so heavily here at all.) You’ll also notice that spoken word – a big focus for SoundCloud – is represented. So this isn’t just about music, either. And for those of you listening from the United States, these are the ads you’ll be hearing. The publishers BMG and Sony are, of course, really interesting inclusions, as those are where one would expect significant licensing costs that would need to be offset by ads. I do notice that most of the kind of music that I care about on SoundCloud is missing here. On the other hand, I don’t really need the SoundCloud users I interact with to be “premier.” And given that many of you have said, directly, you don’t want to enable advertising, this may all be a non-issue. SoundCloud: The Tour from SoundCloud on Vimeo. Keep an eye peeled for a Google search box in the old Safari populated with “m-nus myspace.” Ah, how times have changed. You also see two recent complaints regarding SoundCloud. Let’s look at each, and how the company has responded. First, the original SoundCloud did include public sharing and players. But there was a much greater emphasis on sending tracks. You could set up a dropbox, then have music from that dropbox appear in a feed. It may not satisfy you, but it does offer some helpful advice. 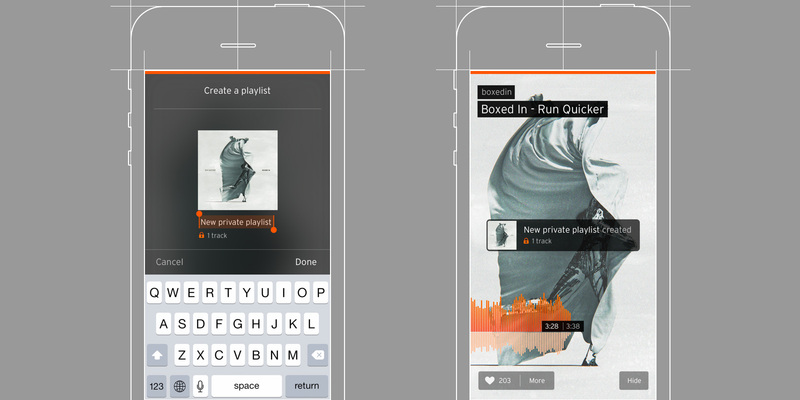 The other recent gripes about SoundCloud centered on the redesign of their iOS app. Some of you really use iOS heavily for working with SoundCloud. The new app was innovative as far as simple UI and gestures, but it killed the feature that many of you relied on most – playlist creation. Also, it’s good to know that you can use AudioCopy to upload sounds from mobile. I never much liked the upload function in SoundCloud, so this to me is actually a superior solution. Keeping the products we build easy to use and straightforward to understand takes time. Simple is complex. You can disagree with how they’ve met this challenge, but I think you can’t argue with the aphorism here. I’m not remotely convinced the the addition of opt-in advertising changes the experience of SoundCloud. To me, the ongoing question is how the core users who use the service most heavily, and pay subscription fees, will be met with changes to the Web and apps. That’s not a battle SoundCloud wins or loses in a single moment; it is a continuous contest for the service. And we as users get to judge whether it meets our needs. For DJ mixes, I actually think it’s generally the wrong service to use at the moment, so we’ll look at that in upcoming stories. But if you have some input into how it works for sharing original music, or questions for SoundCloud, or want to share especially good music resources on the service, let us know.